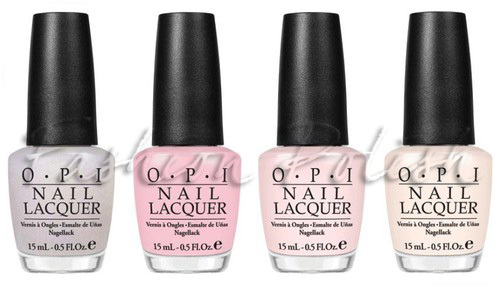 Every brand seems to be releasing a pastel nail polish collection lately and obviously Opi will soon be following the trend too with this new collaboration with the movie industrie. Unfortunately I don't have any official info on a launch date yet but my guess is that it'll be sometime before May 20, 2011, when "Pirates of the Caribbean: On Stranger Tides" will hit the movie theaters. 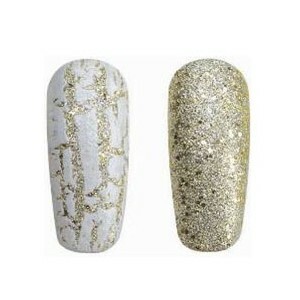 6 new colors will be available, as well an effect topcoat : Silver Shatter. 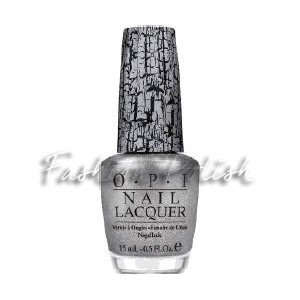 ﻿Well, good thing that Opi seems to have heard those who were asking for the release new shatter colors... I can already here you stamping your feet with impatience! Maybe Walter Disney's pirates wear pastels? LOL. I'll have to wait and see swatches of the whole collection and forget about the pirate thing, I'm sure they'll be beautifull pastels if they are anywhere near Not Like the Movies, It's Totally Forth it or I Vant to Be A-Lone Star. We've seen a lot of beautiful shimmery pastels lately and given Opi's standard in term of formula, I'm pretty sure they won't disappoint. We have a little bit more info thanks to the UK based blog Just Nice Things. The promo pictures seem to be off, "washed-out", that's just fine with me... I'd rather have these. I don't think that the swatches above are color accurate either, they may have been taken during the event, so I encourgage you to visist the link for more pics. This being said, I am really impressed with the Silver Shatter, I mean, I thought it would be some kind of shimmery grey but definitely not that HOT super sparkly foil-like silver!!! Now, I can't wait to get my hands on it and I can only imagine the hype around it. This year's bridal collection will consist in 3 sheer pinks-with-a-twist and a clear shimmery nail polish, release May 2011. Well there's not much to say about these, it's hard to judge a sheer french manicure type of color by a promo picture but they do look promising, especially I Juggle...Men, I could totally image this shimmer as a "something blue". The silver shatter sounds *really* awesome! Love pastels and will definitely be checking these out! But I agree with you... doesn't really seem the match the "Pirates of the Caribbean" them. So many light colours! I think I'm going to like these collections more than the Texas. Silver Shatter is the only thing I'm looking forward to... everything else is meh. Pastels for a Pirates of the Caribbean collection? There's so many excellent places they could have gone with a pirate themed collection, and they went for pastels? Not into it. @Ivana I totally agree. I picture darker, jewel tone colors. Weeeeiiiiiird! I agree with the pastels not being really what comes to mind when I think of the pirates theme, but I still love all the colours so I don't care! Not to mention the 2 shatters!eeeeeeeee! can't wait! A silver shatter sounds amazing. I'm in desperate need of some pastels so I may get a couple of the Pirates ones, I really like the names, but kinda pirates and pastels definately do not mix! 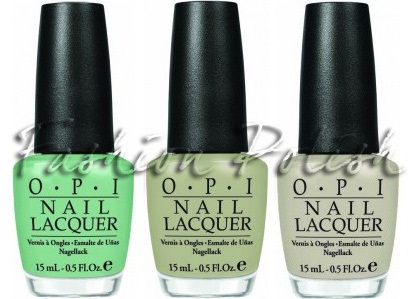 Well, at least OPI now what people want and what's going to be popular! i actually like the silver shatter. i went through my shatter phase in when i was a tween and got over it, so i never bought the black one. however, the silver one is super pretty, mainly because of it's foil finish. also, i LOVE the new serena color. i would totally buy that. not the white shatter, though. 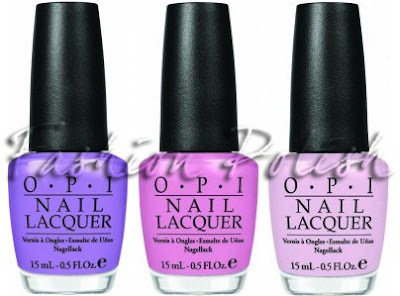 @Fairy Lélie I dub you queen of colors for opi, hahaha. your colors sound amazing! they would have been PERFECT for a poc themed collection! i think they chose pastels bc of spring, but aiw colors weren't pastels and they were for a movie. i think they should have ignored they whole spring theme and focused on the poc theme. i agree that the pirates of the caribbean doesn't really match with pastels, BUT i love how the silver shatter looks over the colours, so i can probably be talked into buying a few of them haha..if you read the UK nails..she describes alot of the colours as green/murky colours, so maybe they were trying to go with sand and under the sea?